18 Kinds: Can 18 Kinds of Crystal Healing Remedies™ Really Make You Feel Good, Naturally? Can Crystals that have been specially combined and programmed into Crystal Healing Remedies™ with healing intentions and placed in convenient little pockets really help you feel good and transform, as you simply carry them with you? While the video loads, continue reading more below. You can download the Quick Reference Card below as well – Right click and ‘Save image as’. ..
Download this Quick Ref Card! – Right Click, Save Image As. While video loads, please continue reading below. Wealth, Love, Business Success, Detox Negativity, and Special. Your Crystal Healing Remedies just need to be ‘in your Aura’ – meaning, within 1 metre from your body, to work. They can be used individually, in combination, for personal wellbeing, or healing others. They all work together and are programmed to bring what’s best for you – so you really can’t go wrong! 4 Crystal Healing Remedies designed to Expand your Wealth and Generate Flow. 3 Crystal Healing Remedies designed to Bring Love, Soothe and Heal you. 3 Crystal Healing Remedies designed to Generate Creativity & Business Success. 3 Crystal Healing Remedies designed to Release Fear, Negativity, & Help you Feel Good. 4 Crystal Healing Remedies designed to Bring Balance in Key Areas. Do not open the net bag of your Crystal Healing Remedy! The intention giving it its power, goes in when the pocket is tied. It breaks if opened. Jelila Crystal Healing Remedies™ simply need to be in your aura to work (near you – within 1m from your body). The whole thing is the remedy – including the bag, decoration, crystals, aromatherapy scent, sequins inside, etc. Blow on your Jelila Crystal Remedy regularly, to release absorbed negativity. They never run out – simply blow on it to refresh. Includes a specially matching essential oil aromatherapy scent. Continues to work if washed. Do not open! Comes with instructions. Lightweight to post, makes a great gift! The completely natural and healthy way for yourself and your family to feel positive and good – every day! Discover each Crystal Healing Remedy in the Love Set here. When you Add to Cart, you are selecting the Set, by the way. If you want your own special selection of Crystal Remedies, please email jelila@jelila.com and we’ll set it up for you. Discover each Crystal Healing Remedy in the Wealth Set here. When you Add to Cart, you are selecting the Set, by the way. If you want your own special selection of Crystal Remedies, please email jelila@jelila.com and we’ll set it up for you. Disclaimer: As with all Jelila Crystal Remedies, no medical results are claimed. In case of any medical condition please see your doctor. Discover each Crystal Healing Remedy in the Business Success Set here. When you Add to Cart, you are selecting the Set, by the way. 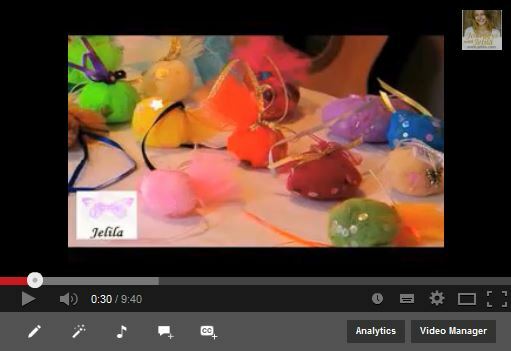 If you want your own special selection of Crystal Remedies, please email jelila@jelila.com and we’ll set it up for you. Discover each Crystal Healing Remedy in the Detox Negativity Set here. When you Add to Cart, you are selecting the Set, by the way. If you want your own special selection of Crystal Remedies, please email jelila@jelila.com and we’ll set it up for you. Guards against outside forces. Helps you feel Safe and Comfortable. 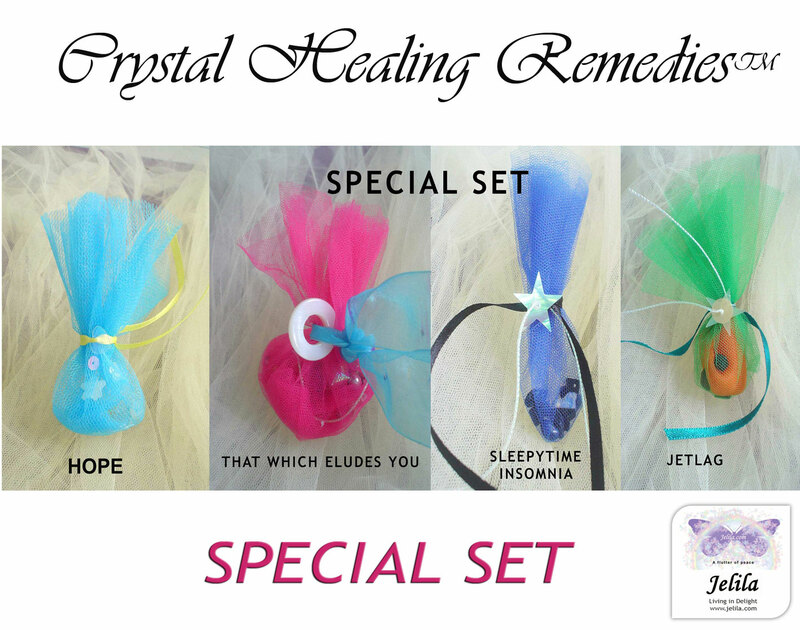 Discover each Crystal Healing Remedy in the Special Set here. When you Add to Cart, you are selecting the Set, by the way. If you want your own special selection of Crystal Remedies, please email jelila@jelila.com and we’ll set it up for you. 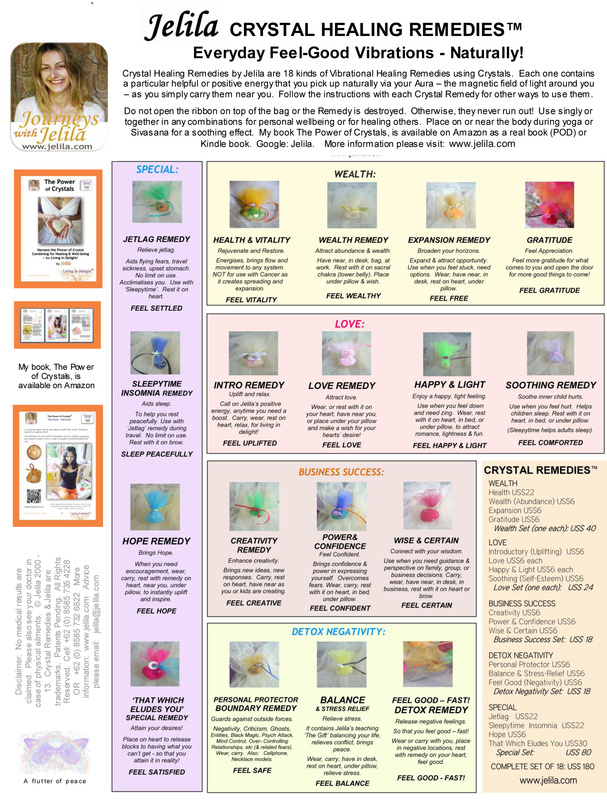 I had so much fun designing my Crystal Healing Remedies! Choosing the Crystals, the Colours, the Decoration and the Concepts! After I’d finished, I thought ‘Wow! I’ve written my first book – only it’s in Crystals!’ They contain a lifetime’s healing wisdom, in Vibrational form. I’ve organised my Crystal Healing Remedies into Sets, to make it easier for you to get to know them and what they do and how they can help you. Basically, you pick up the positive vibration, which can guide you to understand or realise something, or just to act in a more positive and enlightened way, as you carry or have them near you. They just need to be ‘in your Aura’ – near your body, and no more than around 50cm away.